In tea, the leaves must be heated to approximately 150 degrees Fahrenheit to halt oxidation. The longer it takes to heat the leaves to the temperature necessary for denaturing polyphenol oxidase and peroxidase, the more aromatics will develop. For example, green teas that are steamed reach this temperature more quickly than teas that are pan fired and as a result remain bright green and vegetal and lack a diverse aroma. Pan fired teas invoke what’s called the maillard reaction which is a form of non-enzymatic browning that produces toasty notes in a tea and finished tea leaves that are usually yellower in appearance. 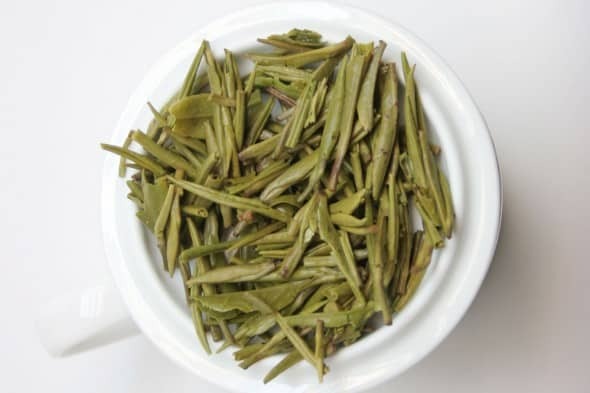 In general, most Chinese green teas are pan-fired (photo above), and most Japanese green teas are steamed (photo below). There are other methods for “killing the green” — sometimes a heated tumbler is used or an oven-like machine, while some teas are sun-dried and in this case, oxidation is halted not by heat, but by dehydration. The kill-green process of tea manufacture is commonly employed in the production of green, yellow, oolong, black tea when dried, and post-fermented teas. This post is part of a larger post dealing with the initiation, control, and cessation of oxidation. It’s also part of a series of posts covering other individual processing steps: withering, oxidation and drying. And finally, my tea processing chart. Hi! You are writing about the correlation between freshness and “greeness” of tea and the way how the process of oxidation is halted. How you explain for example the case of Bai Sha Lu where the oxidation is halted by steaming? 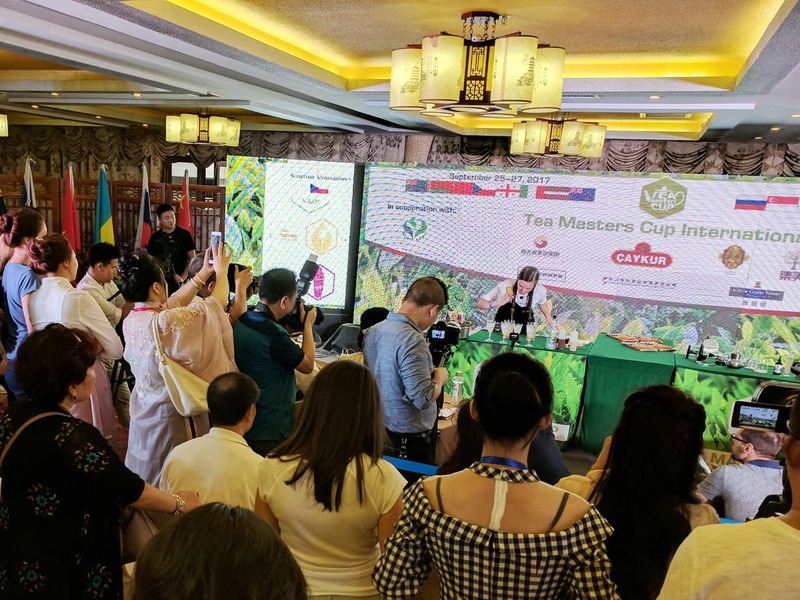 Of course that it is a bit different to “classic” chinese green tea like Mao Jian or Long Jing – the taste is more flowery and so on but the main body of taste remains very similar. Greatly like your page. Congratulations! Quick question: is the steaming (vs. pan-firing) solely responsible for the grassy note in Japanese green teas, or is it also the lack of withering which retains the grassy notes? In one of your other articles I read that pan-firing releases grassy notes, thus is the lack of withering a reason for grassiness in Japanese greens? Thanks! Thanks for your comment. Japanese green teas are withered for a short period. The vegetal notes in steamed Japanese green teas is largely due to the fact that steaming quickly halts oxidation but these notes can probably also be attributed somewhat to cultivar. Can I share your article with my students? Your article is really helpful for them to comprehend the tea production. It is a good article. Especially impressd by your analogy of apple, very great! For your question, my understanding is that the “Qing” doesn’t refer to the color of the leaves but the aroma. That is to say the “Qing” in the name of ” Sha Qing” means”Qing Qi”(in Chinese, it means grassy aroma) instead of “Qing She”( green color). Richard, thanks a lot for the information, this is great! Hi, this is great information to learn because I deal with Chinese green teas on a daily basis but never green teas from other countries. So thank you for sharing this information with us! First of all, I’d like to say that It’s refreshing to come across educated tea dialogue originating in the US. I’ve been propagating tea culture in Austin, TX after returning home from many years in Asia–mostly in Taiwan–and it’s taken a lot of energy! After reading your article, I was scrolling down to make a very similar comment to Brandon. The Chinese word “青” refers to a blue-green “vegetal” color. It’s the same word use for leafy greens in Chinese, therefore I’ve always thought of it as referring to plant “life.” I didn’t know about sha-qing (殺青) specifically though, so this really shed a bit of light on some things I was wondering about myself–especially as to the flavor difference of the steamed Japanese teas versus roastedness of Chinese green. Nathan, Thanks a lot for the kind words. I’ve been researching tea for several years. I’m now working on a book as well. I looked up your blog and your work in Austin, very impressive! Keep spreading tea culture! I think the misunderstanding comes from taking the common Chinese translation too literally. Shaqing translated as killing the green is probably good enough, but you have to consider that qing 青 is referring to something broader than the color of the leaves (which is in fact 绿 lu). 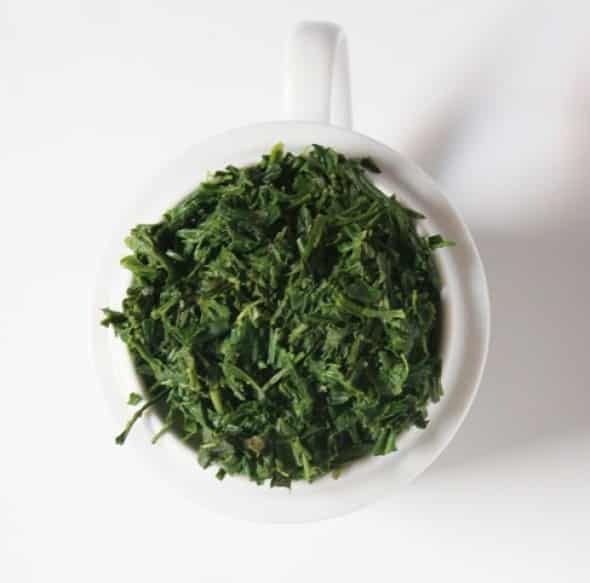 Qing can mean raw, fresh, young, etc… So it is correctly referring to the fact that you are killing the enzymes or the rawness of the tea that leads to spoilage… the vegetative “greenness,” not the color of the leaf. I think this is a great topic, and I think it sheds a lot of light on how to classify teas, as well as how the teas actually taste. When I started learning about the process of heating teas to stop the enzymes that cause oxidation, I feel like a lot of the distinctions between the different types of tea, and the relationships between their production and their flavor, aroma, and color. I’m not sure about your point about the grassy quality in tea though. All green teas have been heated during their production, yet I find many of them have a very potent grassy aroma, and in comparison, I find white teas (which have not been heated to the same degree) tend to have much less of this aroma. So I supect this grassy quality may actually arise to some degree from the production itself, which of course involves heating. The answer to this one may also be a bit subjective too, as people experience tastes and aromas differently, and they don’t necessarily mean the same thing when they talk about a “grassy” quality in tea. It’s much the same as how teas with very different aromas can both be described as having an “orchid” aroma (compare Tong Cheng small orchid, to Qi Lan oolong).